Authorities of the south central province of Khanh Hoa see the need to attract more tourists, especially from member countries of the Association of Southeast Asian Nations (ASEAN). Many measures have been devised, focusing on promoting the province’s images and developing its infrastructure. Khanh Hoa, with a coastline of more than 380 km and hundreds of islands and islets, and mild and sunny year-long climate, has many advantages for tourism, especially sea-island tourism. Besides Nha Trang Bay, Khanh Hoa also boasts Cam Ranh and Van Phong bays, both being natural masterpieces. Khanh Hoa’s tourism sector has experienced a breakthrough in recent years. The number of tourists visiting the province has enjoyed average expansion of 15 percent - 17 per year in recent years. In 2010 - 2016, the number of tourists to Khanh Hoa reached 21.5 million, including more than 5.1 million foreigners. In 2017, 5.5 million domestic and international holiday-makers visited and stayed overnight in the locality. In the first eight months of this year, Khanh Hoa welcomed 4.4 million visitors, including nearly 1.9 million foreigners. However, Khanh Hoa has not focused on attracting tourists from ASEAN countries. 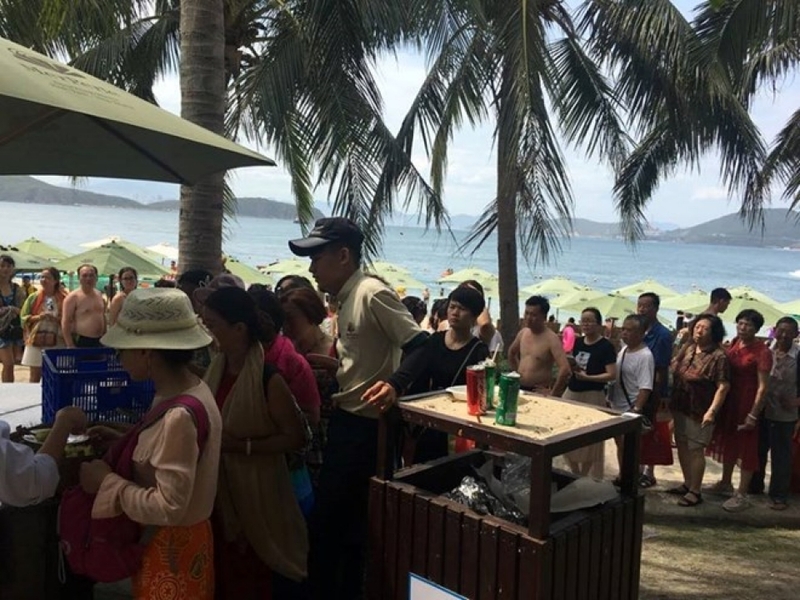 With nearly 1.9 million visitors to Khanh Hoa from the beginning of the year, the number of visitors from ASEAN countries is less than 100,000. In September last year, low-cost airlines AirAsia of Malaysia opened a direct flight from Kuala Lumpur to Cam Ranh International Airport of Khanh Hoa and vice versa. According to Spencer Lee, Commercial Director of AirAsia, the new route helps not only bring more holiday-makers from Malaysia to Khanh Hoa, but also makes it easy for Khanh Hoa people and those from adjacent localities to access 120 destinations in the airline’s Asian network. A number of international travel agencies in Khanh Hoa’s Nha Trang city have taken advantages of the new route to run tours to Malaysia and Singapore. After a year, the number of visitors from Malaysia to Khanh Hoa has increased tenfold. In the first eight months of 2018, Khanh Hoa received more than 30,000 visitors from Malaysia, up 15 times compared to the same period last year. Khanh Hoa aims to welcome 8.5 million tourists by 2020, with 3.5 million international visitors, raking in 70 trillion VND (more than 2.98 billion USD). The province’s tourism industry is hoped to become a spearhead economic sector, creating momentum for its development. Ha Noi welcomed nearly 250,000 tourists during the recent three-day National Day holiday, up 9 percent compared with the same period last year.